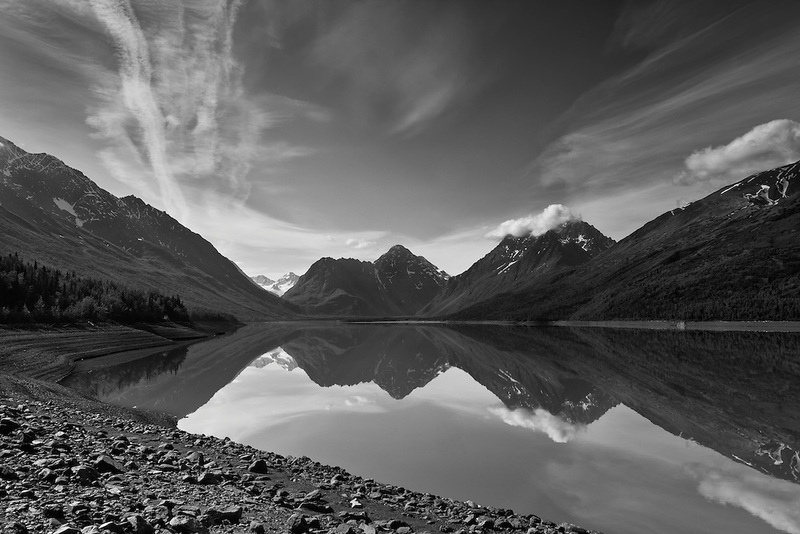 Reflection of The Mitre mountain, Bold Peak and other Chugach Mountains on the southeast end of Eklutna Lake in Chugach State Park in Southcentral Alaska. Morning. Summer.